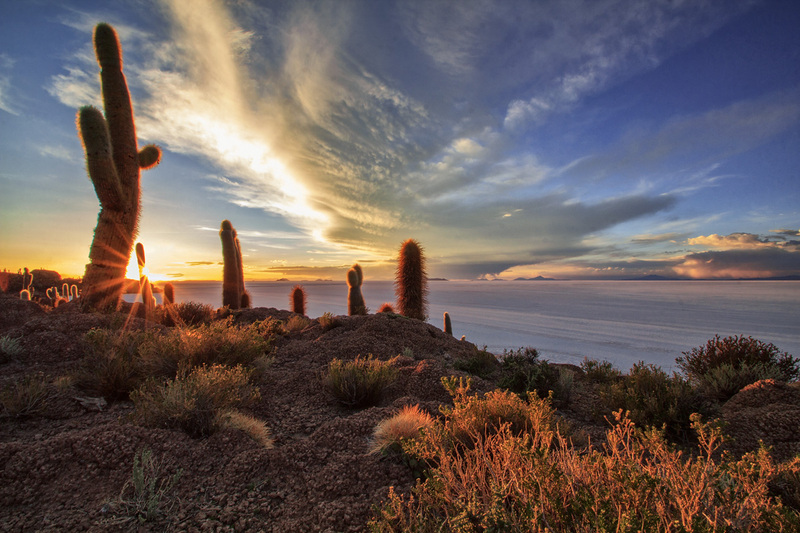 The Salar de Uyuni is one of the most spectacular places on our earth and well worth a visit. The endless width of the pure white salt flat make the whole area feel totally surreal. When you there you will do perspective shots, playing with objects in the foreground and have good fun making other crazy shots. But dont forget to visit the Isla del pescado in the center of the salar. Thank you Matthias Huber for creating this photo spot.